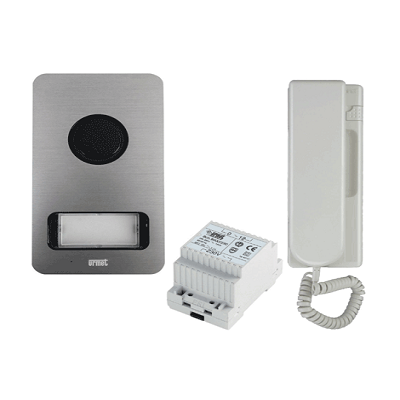 One-family door phone kit consists of one Mikra panel and one door phone Ref. 1131 with door lock release button. Possibility of connecting up to 2 door phones in parallel. Mikra panel is pre-arranged for 2 users.